Keeping the driver of your Belkin wireless adapter up-to-date will fix issues that you may have encountered while using it. An updated driver downloaded from the Belkin Support site may also contain device feature enhancements that are not available in the previous versions. This article will guide you on how to download the latest driver for your Belkin wireless adapter. Before you begin, ensure that you have an active internet connection. If your computer is plugged in to the router but cannot get online, disconnect it from your router and plug it directly into your Cable or DSL modem. NOTE: Some details on the images and troubleshooting steps may vary depending on your computer's OS and browser version. Go to the Belkin Support page, enter the model number of your device in the search bar and press [Enter]. NOTE: Your product's model and version number are printed on the device sticker. For an illustration, click on the How do I find my model number? link. For more instructions on checking the model, version, and serial number of your Belkin device, click here. Select your specified product from the search results list to open its product support page. NOTE: The Belkin F5D6050 is used here as an example. Click Downloads / Firmware on the product's support page. Alternatively, you can scroll down to the bottom of the product page and click the Download Software link under Downloads / Firmware. On the download article, select the version of your hardware. Click the Download link that corresponds to the file you need and save the file to your computer. QUICK TIP: It is highly recommended to save this file on your Desktop to help you easily locate the file whenever you need it. You may also rename the file for easier identification. 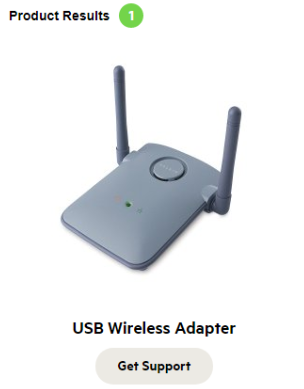 You should now have successfully downloaded the latest driver for your Belkin wireless adapter. For instructions on how to update the driver of your wireless adapter, click here. For a list of downloadable software for Belkin network adapters, click here.